With just a couple of days left until Christmas, we at Gadget Inspector are starting to wind down for the holidays. We'll still be processing your orders, of course, but you won't be hearing much from us on social media or this blog for the next week or so. We'd like to take a moment to thank everyone who has made this season such a success for us - we've been overwhelmed by people's responses to our new website, and we're thrilled by all the new customers who have come on board over the last couple of months. We'll be back to normal in January; in the meantime, have a Merry Christmas and a very Happy New Year! We know, we know - it's not even Christmas yet, so how can anyone be expected to start thinking about New Year's? Don't worry, though, because that's the whole point: we know that you're neck-deep in wrapping paper and Quality Street right now, and so we're here to think about the New Year so that you don't have to. Parties need music, but how best to provide it? If you use your stereo, you'll have to change the CD every 45 minutes; if you play Spotify off your phone or laptop, well, it'll sound like it's being played off a phone or laptop. What you need is this ingenious Touch Speaker - simply place your phone on top for instant amplification! There are no cables or pairing required, which makes this speaker ideal for parties - if someone wants to put their own music on, they simply have to take off the current phone and put theirs on instead! Paper cups are surprisingly hard to come by at the last minute - by the afternoon of December 31, every shop in your area will most likely have sold out. 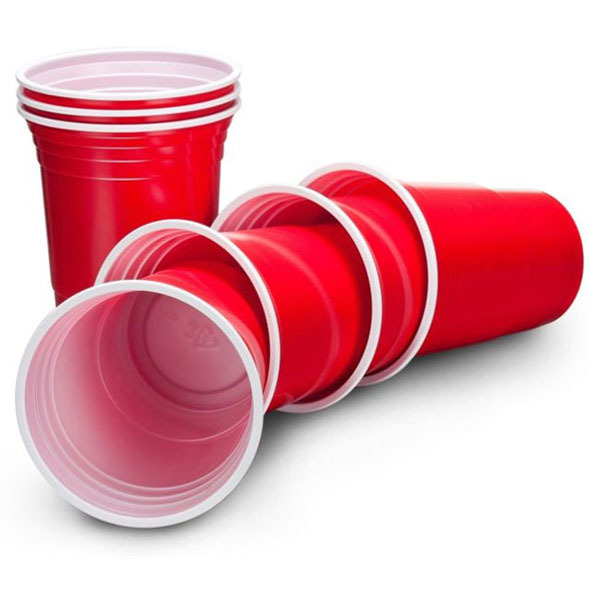 So why not order some Solo cups now and save yourself the panic on the day? These top-quality cups are just like the ones you've seen in countless American teen movies, and those parties are always awesome, right? 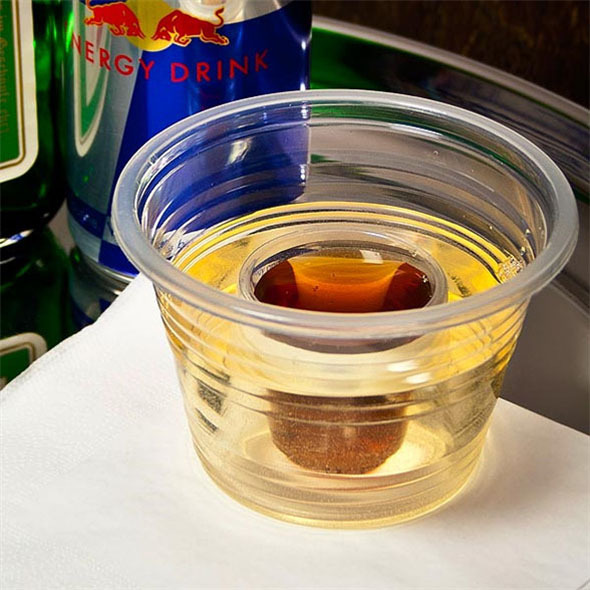 Of course, Solo cups aren't the only option, and if you're planning to serve up a few Jagerbombs at your NYE bash, these specially-moulded Bomber cups may well be a better choice. Fill the middle section with alcohol, fill the rest of the cup with energy drink, and get ready to drop one last bomb before the big countdown! You can rest assured that people will bring plenty of booze to your party, but all of those bottles will be useless if you've no means of getting into them. You'll need a bottle opener at the very least, but if you want to turn things up to 11, we heartily recommend our 'Manly Bar Tool' set (featuring, among other things: a hammer-shaped bottle opener, a screwdriver corkscrew, and a saw for slicing lemons). No party is complete without a bit of beer pong! This American-style kit contains 14 cups, 2 balls, and a pair of mats on which to place the cups; if you really want to impress your guests, you might consider purchasing a Professional Beer Pong Table too! Just because you're not the host doesn't mean that you can't make an effort. Here are a few fun items that you might consider bringing along - each one is sure to kick the party into a higher gear! Challenge your friends and find out who the best drinker in your group is! 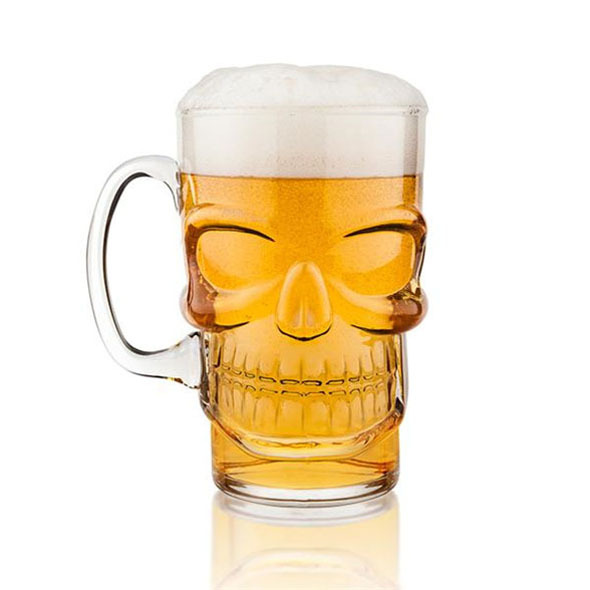 As the name suggests, this absurdly large vessel holds and entire YARD of ale (or lager, or whatever). Furthermore, it's marked with ratings (ranging from 'Wimp' to 'Solid Legend') that will let you know exactly how a big a drinker you are. 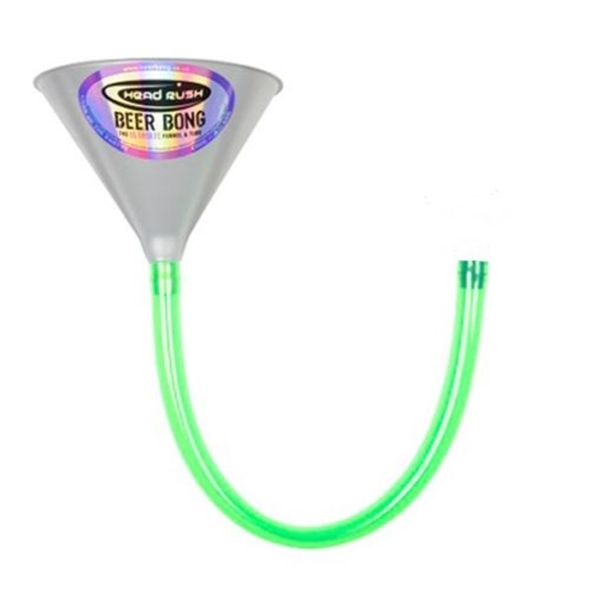 Of course, if drinking is your game then there's no beating a good old-fashioned beer bong. We've got a huge variety of bongs to choose from, ranging from the classic 2ft design to double bongs, balcony bongs, six-person bongs and more besides! Nothing whiles away the hours 'til midnight like a couple of drinking games. Our personal favourite is Drinking Jenga (pictured above) - pulling those blocks out becomes even harder when you're already a bit tiddly! There's loads more like this in our Party Essentials section. No matter what you're doing this New Year's Eve, we hope you have a great time - try not to get too drunk! Order Before 2pm Today for Guaranteed Christmas Delivery! Holy moly, you guys - Christmas Day is just 7 DAYS AWAY! This time next week, we'll be opening presents, eating roast dinner, and watching a boatload of brilliant Christmas telly. How exciting is that? Still, as the big day draws ever nearer, your opportunities to purchase that perfect present get fewer. If you are planning to purchase some gifts from gadgetinspector.co.uk, today is your LAST CHANCE to use our standard UK delivery service - if you don't place your order BEFORE 2PM TODAY, we may not be able to get it to you by Christmas Day. Now, if you miss this deadline, don't panic. You can still get your gadgety goodies in time for Christmas; you'll just have to use our Next Working Day delivery service to speed things along. The deadline for these orders is 2pm TOMORROW - that's the 19th of December. See our Delivery page for further details. Delivery: Get Your Christmas Presents Before the 25th! Now, if that's not cause for excitement, we're not sure what is. Nine days! Just NINE DAYS until we can stuff ourselves with turkey and unwrap our presents and watch the Strictly Come Dancing Christmas special. We can't wait! If you are using our Royal Mail 3-5 working days delivery service, your order must be placed BEFORE 2pm on Thursday the 18th of December. If you are using our Royal Mail 24hr delivery service (i.e. Next Day Delivery), then you will need to place your order BEFORE 2pm on Saturday the 20th of December. If you miss the above deadlines, we cannot guarantee that your order will arrive in time for Christmas Day. Any orders received after 2pm on Saturday will of course be processed ASAP, but don't be surprised if they don't arrive until after the big day. One final thing: it goes without saying that Royal Mail are exceedingly busy at this time of year, and we would like to remind our customers that, sometimes, delays are unavoidable. Since your order is being delivered by normal human beings (as opposed to a jolly old man with a magic sleigh), we will accept no liability if your order arrives slightly later than promised. Place your order now to avoid disappointment!